Damp Gadget? Try rice to dry it out. No matter how careful you are, at some point a gadget you own will get damp. I’m not talking about the old dunk in the sink or a puddle, but just a little misted. Or you did dunk it and you want to get the last of the evil water out. Yep. It’s the truth. 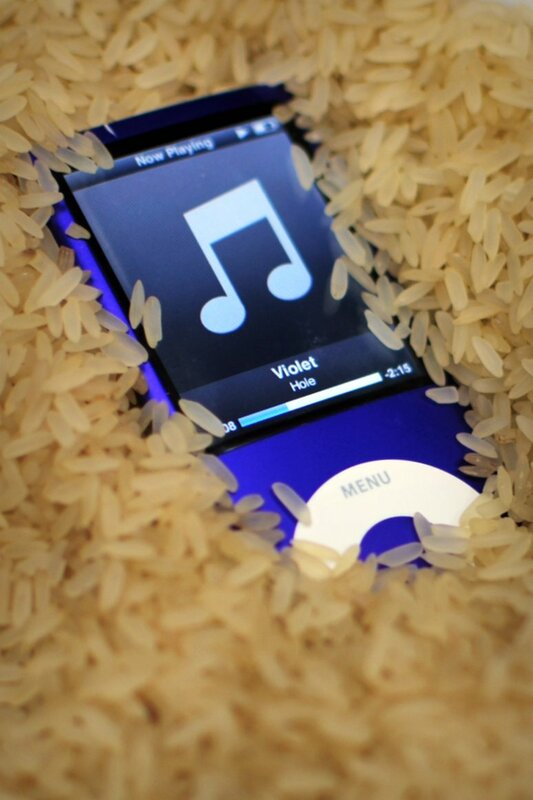 If you have a slightly en-dampened gadget, just fill a plastic container with dry rice, put your gadget in there with it, and seal the lid. You don’t have to bury the gadget in rice (you don’t want rice to get into the device), just sitting on top is enough for most things. How long does it take? At least over night, probably closer to 24 hours, to give the rice a chance to draw the moisture out. And yes, I’ve done it and yes it works. Fine you get the idea. Oh and if you’re still doubting that this works…check out the photo credit for a real example with an iPod! Read next: Free MobileMe Coming with iOS 4.2?